Felicia was the perfect operative to go inside to document just how far into the pregnancy Southwestern Women’s Options was willing to perform a late-term abortion since her son Jonah was diagnosed with Trisomy 18, while in utero as a result of two genetic tests. Two days after what would have been Felicia’s scheduled abortion appointment at 38 weeks of pregnancy she went into labor and he was born, perfectly healthy. In this video she shares more about the fetal diagnosis she received that resulted in pressure to have an abortion by her genetic counselor. She also shares words of encouragement aimed at women who may be facing a similar fetal anomaly diagnosis while pregnant and speaks to the sanctity of all human life. “This project has uncovered the shocking reality that the medical community is knowingly relying on faulty and misleading genetic testing that leads women to local abortion facilities to kill their babies. According to known published studies, 60% of prenatal tests can come back with false positives on babies without any genetic defects,” stated Tara Shaver of Abortion Free New Mexico. In this in-depth follow up interview, Felicia shares more about what it was like going into the late term facility. She discusses her emotions while inside, her interactions with clinic staff, and how the late term procedure is performed over 3-4 days. She also shares her reaction when told that the procedure will cost $17,000 and about how she was instructed to obtain New Mexico Medicaid to have the procedure paid for with state tax dollars. Church Militant wrote up an extensive report about this latest project and an exclusive profile piece about our work over the past 7 years here in Albuquerque, New Mexico. 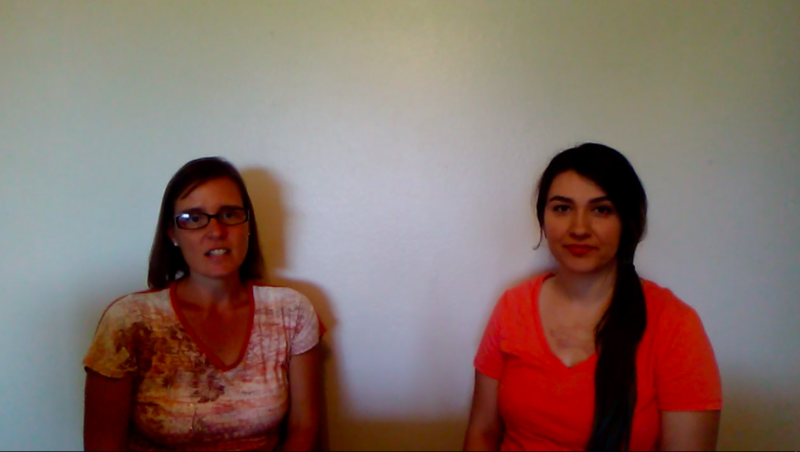 Albuquerque, NM – Tara Shaver opened the mysterious letter that arrived in the mail. She could hardly believe what she was reading. It was an anonymous tip that informed her a woman named Keisha Atkins had died from a late-term abortion on February 4, 2017. 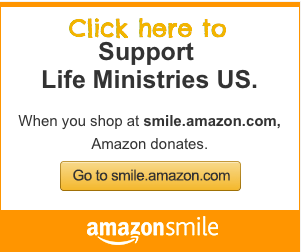 Shaver and her husband, Bud, who lead Abortion Free New Mexico, have spent years laboring in the pro-life trenches in Albuquerque exposing the largest late-term abortion facility in the United States, Southwestern Women’s Options, and its connections to the publicly-funded University of New Mexico. Due to their experience and training, once serving as interns for Operation Rescue, they immediately jumped into action. They filed a public records request for Atkins’ autopsy and established a valuable line of communications with her family. 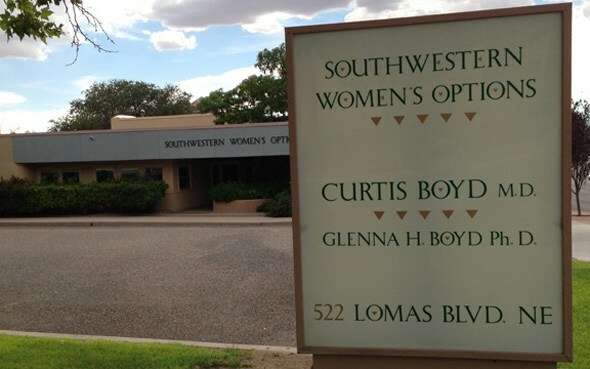 They discovered that Atkins’ abortion had been done at Southwestern Women’s Options, which made perfect sense since it alone in New Mexico specializes in late-term abortions throughout all nine months of pregnancy. They consulted with Operation Rescue over the meaning of the autopsy report. Such reports are written in technical medical jargon that is sometimes difficult for anyone without a medical background to decode. However, this correspondent has been reading autopsies concerning abortion-related deaths for decades. It did not take long to realize that as everything was not as it seemed. At first glance, the cause and manner of death of this initially healthy 23-year old woman was made it appear that abortion was not even a factor in Atkins’s death. The cause of death was “Pulmonary thromboembolism due to pregnancy.” Her manner of death was natural. In other words, the autopsy findings that a blood clot formed as a result of her healthy pregnancy and coincidentally at the moment of the abortion, it traveled to her lungs and killed her. The newspaper cited the opinion of the UNM Office of the Medical Investigator that it was Atkins’ pregnancy that killed her, not the four-day late-term abortion process that Operation Rescue believes was mismanaged by eighty-year old abortionist, Curtis Boyd, and fumbled by UNM hospital where she died. No matter how much UNM may have tried to obfuscate what happened to Keisha Atkins, the truth seeps through in the pages of the autopsy report in descriptions of her physical condition and the complications she experienced in what must have been an excruciatingly panic-filled and painful death. Here is what happened to Keisha Atkins, according to the autopsy report, information provided by her family, and documented information obtained through research by Operation Rescue. Atkins reported to Southwestern Women’s Options, the nation’s largest late-term abortion facility, on January 31, 2017, to begin a four-day late-term abortion. She was at least six months pregnant, and may have been even farther along according to the tipster that contacted Tara Shaver. Sometime during the ensuing days, something went wrong and Atkins developed a bacterial infection. Unsanitary conditions and/or practices by abortion facility staff. Because of the seriousness of her condition, an ambulance was called at 12:04 p.m., but was later cancelled by the clinic, according to a 911 Computer Aided Dispatch transcript obtained by Operation Rescue. At some later point in the day, Atkins was transported by unknown means to UNM Hospital. Atkins continued to suffer shortness of breath and below base-line oxygen levels despite supplemental oxygen. She also experienced abdominal cramping pain, an elevated heart rate, and reduced ventricular function in her heart. Additional tests of her placental tissue showed the presence of a bacterial infection. Post-mortem tests of her uterus also showed evidence of the infection. Why is this significant to understanding the truth behind Atkins’ death? Bacterial infections are a known trigger for a life-threatening condition called Disseminated Intravascular Coagulation (DIC). DIC is a clotting disorder that begins with the rapid formation of small blood clots that block small blood vessels. As the clotting becomes more aggressive, it essentially strips the rest of the blood supply of the clotting factor. This typically results in hemorrhaging of the body cavity and various organs, including the brain. In addition to bacterial infections, other causes of DIC can include retention of a dead fetus and surgery – both of which were documented in Atkins’ autopsy report. Supposedly operating under a false-negative test for blood clots, UNM Hospital staff conducted a surgical Dilation and Evacuation (D&E) dismemberment abortion to remove the dead baby. During the D&E procedure, Atkins suffered a fatal heart attack due to a blood clot in her lungs. Resuscitation efforts were so aggressive that her ribs were broken, yet they proved unsuccessful. She also received “multiple blood product transfusions,” – a standard treatment for DIC – but to no avail. Atkins was pronounced dead at 12:10 a.m. on February 4, 2017. Atkins’ autopsy revealed “acute coagulopathy” as well as hemorrhaging in the brain (left adrenal gland), inside the abdominal cavity, and from the uterus. She also had a massive build-up of serous fluid around her lungs. How do we know she hemorrhaged from the uterus when that is not specifically mentioned in the report? There was a curious notation in the initial description of Atkins’s body that stood out. The UNM coroner’s determination that Atkins died from “Pulminary thromboembolism due to pregnancy” is suspect, at best. Bruising of the extremities (another symptom of DIC). The UNM cause of death also does not account for the multiple transfusions of blood products she was given at the UNM hospital. These symptoms do not make sense in light of a random blood clot in the lungs. However, they do make sense in light of the clotting and hemorrhaging that exemplifies DIC. It more likely that during Atkins’ four-day abortion process — during which she retained the body of her dead baby — a bacterial infection turned septic and initiated a fatal cascade of symptoms associated with Disseminated Intravascular Coagulation. It is Operation Rescue’s opinion, based the facts found in the autopsy report, that the UNM cause of death determination is simply not the truth. The abortion facilities involved in patient deaths first try to conceal the fact that a patient died. If that doesn’t work, the abortion businesses immediately attempt to deny any culpability for their patient’s death. What is the easiest way to do that? Whitewash the truth by blaming the woman and/or her pregnancy. The leftist mainstream media is usually a willing co-conspirator in the cover up, and the response to the Atkins death was no exception. The newspaper cited the opinion of the UNM Office of the Medical Investigator that it was Atkins’ pregnancy that killed her, not the four-day late-term abortion process that Operation Rescue believes was mismanaged her eighty-year old abortionist, Curtis Boyd, and fumbled by UNM hospital where she died. UNM’s own autopsy report described in detail compelling evidence that it was complications from the abortion process that killed Keisha Atkins – not her pregnancy. There can be no doubt that if Keisha Atkins had not endured the process of a four-day late-term abortion, she would be alive today. So why the attempt to obfuscate the true cause of death? UNM and Southwestern Women’s Options are partners in the trade in aborted baby remains. SWO is the sole supplier of aborted baby tissue and organs to UNM. Both are under criminal investigation by the Attorney General’s office based on a complaint filed by Tara Shaver of Abortion Free New Mexico and criminal referrals issued by the House Select Investigative Panel on Infant Lives. This gives them UNM and SWO motive to nefariously ascribe the death of Keisha Atkins to her pregnancy in order to prevent another abortion-related scandal in the middle of a criminal investigation into their alleged participation in the illegal baby body parts trade. This may also be why there was no notation of the weight of the dismembered remains of Atkins’ baby in the autopsy report. While the baby’s remains were present during the autopsy, revealing the weight might also reveal the truth about how far along Atkins’ pregnancy really was. On a side note, some have expressed misplaced concern that the autopsy report was made public, and that its release may have compromised Atkins’ privacy, or more absurdly, her legal rights as a dead person. In reality, there is no legal issue with making a public document available to the public. In fact, its release is actually a public service. The people have a right to know what is going on at SWO and UNM, especially because they are both recipients of public funds. They have a right to know that not everything is as it appears in the left-wing Albuquerque Journal. When abortion is involved, concealing the truth that seeps through in these public documents only serves to aid the abortionists and their associates, who are desperately trying to diffuse any controversy around Atkins death. Tara Shaver’s anonymous tipster apparently had a sense that something was very wrong in the way Keisha Atkins’ death occurred and how it was handled after the fact. And that person’s instincts were right. If this information can prevent others from suffering Atkins’ fate, it is morally imperative to make sure the public – as well as the authorities investigating UNM and SWO — knows about it. Operation Rescue urges the New Mexico Medical Board and the Attorney General’s office to aggressively investigate Keisha Atkins’ death, and bring those responsible for it and its cover-up to justice.